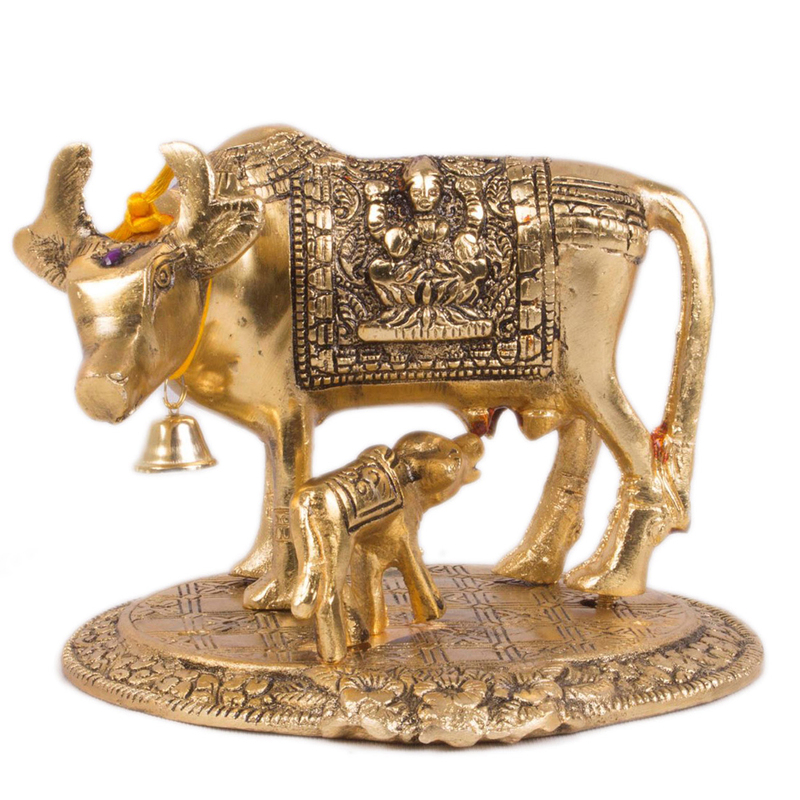 Crafted with passion & patience, the cow-calf idol is holy symbol of vatsalya & prosperity. Buy this item for your home interior & beautify your living space. 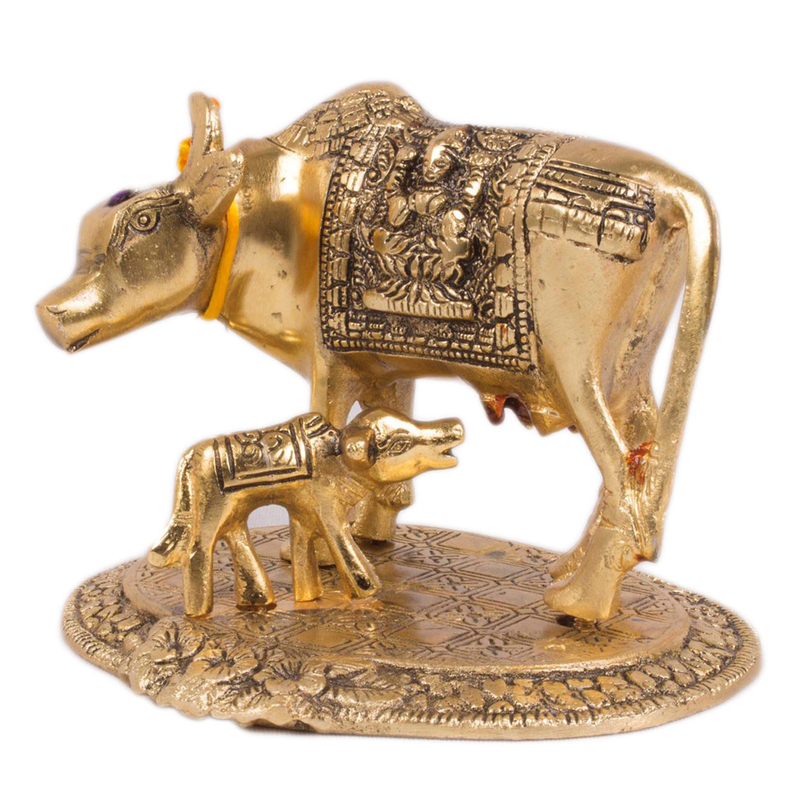 The intricately designed golden colored cow-calf idol is a striking piece of art. Made from metal, this idol is considered as a symbol of vatsalya Read More..& prosperity. If you buy this from boontoon (because we bring affordable deals for you), then it can bring good luck to your house. You can also use it for interior decoration, Pooja or gifting purpose. The cuts & carves engraved in the statue are flawless & the oval shaped base of this art piece is carved in floral designs. Buying this idol won’t be a exorbitantly costly affair. Have it now before it goes out of stock! Show Less..